Helena Moloney was born in Dublin in 1883. At the age of 19, she was deeply inspired by a speech given by Maud Gonne and decided to join Inghinidhe na hÉireann. On the day Helena went to join up at Maud Gonne's house in Rathgar, she arrived in the middle of a police raid. On being asked by the police if she was a member, she replied that she was and was proud to be, whereupon she was promptly arrested. From the beginning, Helena played a prominent role in the organisation and, due to Maud Gonne dividing her time between Ireland and France, Helena effectively ran it from 1903 onwards. In her role of organiser Helena decided to set up a newspaper called Bean na hÉireann, of which she became the editor. It advocated militancy, separatism, and feminism. In later life, Helena recalled that she had no experience in writing, let alone editing, and was only assisted with the first edition of the paper. Nonetheless, under Helena's editorship, the paper became quite successful and James Connolly, then in America, wrote letters of encouragement and support. It was Helena who recruited Constance Markievicz into the ranks of Inghinidhe na hÉireann and in 1909, with Markievicz, she became one of the founding members of Na Fianna. Helena belonged to a dramatic company and acted in plays in the Abbey Theatre, many of which were written by members of Inghinidhe na hÉireann, and once she played the role of the mother in Cathleen Ní Houlihan, with Lady Gregory playing Cathleen. In 1911, King George V proposed a visit to Dublin. Helena was at the forefront of the protests against the visit and was arrested for throwing a stone through a pro-British shop window on Grafton Street. When she refused to pay the fine she was sentenced to one month in prison and became the first female political prisoner since members of the Ladies Land League were arrested in the 1880s. She served only 14 days because her fine was paid, unbeknownst to her, by Anna Parnell, who wanted Helena to complete the work of editing the history of the Ladies Land League, titled The Tale of the Great Sham. 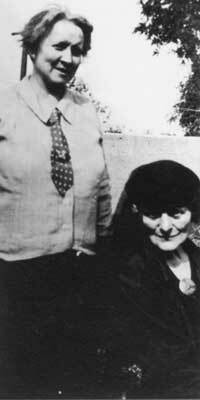 In 1913, Helena joined the Labour Movement and began to work closely with James Connolly. She helped set up a Co-op shop on Eden Quay in Dublin. The shop employed women, blacklegged by employers for striking, to make shirts. In 1915, Connolly asked her to become the Secretary of the Irish Women's Workers Union. Helena joined the Irish Citizen Army and trained with them in the run up to the rising. On one occasion, when the police were raiding Liberty Hall without a warrant, Helena held them at gunpoint until they decided to leave. After they left, an armed guard was placed on the hall to protect the printing press from seizure. During the 1916 Rising, Helena joined Seán Connolly's City Hall detachment as an officer of the ICA. The detachment was made up of nine women and 16 men. In the first attack on Dublin Castle, Helena shot at a British soldier as grenades were thrown into the guardhouse. They failed to go off and Seán Connolly ordered the detachment to occupy the building. During the ensuing battle, Connolly was shot while sniping on the roof. Helena crawled to his fallen body and he died with his head cupped in her hands. When City Hall fell to the British, Helena was imprisoned in Dublin Castle. A few hours later, when they went to question her, they found the lock half off the door and Helena's fingers bleeding from trying to escape. Helena was then moved to Kilmainham Jail, where she again tried to escape by starting a tunnel with an iron spoon. Helena was tried before a military court, found guilty and imprisoned in Lewis and Aylesbury Jails. She was released in December 1916. During the Tan War, Helena worked with Contance Markievicz in the Ministry of Labour and was an aide to Michael Collins and Liam Mellows. She also served as a District Justice in the republican courts in Rathmines. Helena opposed the Treaty and vehemently supported the Republican side during the Civil War. She continued to work for labour and republican causes after the war. She was active with the Women's Prisoner's Defence League and the People's Rights Association during the 1930s. In 1931 with Frank Ryan, in 44 Parnell Square, she helped found Saor Éire, a republican left organisation that was immediately attacked by the clergy. The party was outlawed by Fianna Fáil. In 1934, when Fianna Fail started to imprison IRA men, scarcely a year after they had helped the party to power, Helena called a meeting at College Green. Over 15,000 turned up to hear speeches from Maud Gonne, Maurice Twomey and Helena. She was elected an urban district councillor for Rathmines and Rathgar in Dublin City and fought to re-house families living in tenement housing. Helena campaigned against Fianna Fáil's Conditions of Employments Bill, which curtailed women's rights. Subsequently, she became a member of Mná na hÉireann, which sought equal rights and opportunities for women. In 1936, she was the first woman to become president of the Irish Trade Union Congress. Helena continued to work for the causes of socialism and republicanism she believed in until illness forced her to retire from public life in 1946. On 29 January 1967, 38 years ago, Helena Moloney died of pneumonia in Dublin at the age of 84. She is buried in the Republican Plot in Glasnevin Cemetery.